The famous Belgian-born film-maker Agnes Varda has died at the age of 90, her family has announced. The sad news was announced by her family to the the AFP news agency. Varda died at her home on Thursday as a result of complications from cancer. The director was one of the key figures in the French New Wave in the 1960s, making films like Cleo from 5 to 7, Le Bonheur and The Creatures. Varda was the first female director to be awarded an honorary Oscar in 2017, and became the oldest ever nominee for a competitive Oscar last year. The director made her name with her first film, La Pointe Courte, in 1955. She went on to be one of the key figures in the French New Wave with works including 1962’s Cleo from 5 to 7, about a model’s anguished two-hour wait for the results of her cancer test. She was married to one of the movements’s other leading lights, fellow director Jacques Demy. 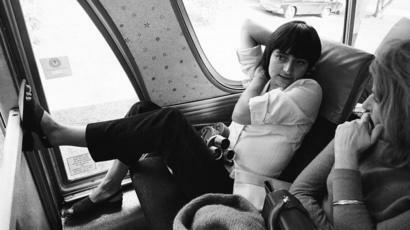 Varda continued making acclaimed films throughout her career. Vagabond from 1985, 1988’s Kung-Fu Master, 1995’s One Hundred and One Nights and the autobiographical The Beaches of Agnes from 2008 were all hits on the festival circuit. Furthermore, the film saw Varda and a photographer and artist called JR journey through rural France and form an unlikely friendship.